If our moral intuitions are true, then God is the best explanation of this fact. Our moral intuitions are true. Therefore, God is the best explanation of this fact. If God is the best explanation of moral intuitions, then He exists. (3) and (5) are logically entailed conclusions. What do we make of (1)? We should only deny this if we think that while our moral intuitions are true, there is a better explanation. Notice this claim is much more modest than saying that God is the only explanation of moral intuitions being true. All we are claiming is that, for however many explanations there are, God is the best one. Without getting into a lengthy discussion as to what makes a good explanation (though that is surely important here), let’s cover some of the features. First, an explanation needs to fit all the facts. Let’s consider the facts: God’s creating in us a sense of moral knowledge (moral intuition) is certainly possible (it’s not unknown, or even unlikely, for example, that God possesses this power). 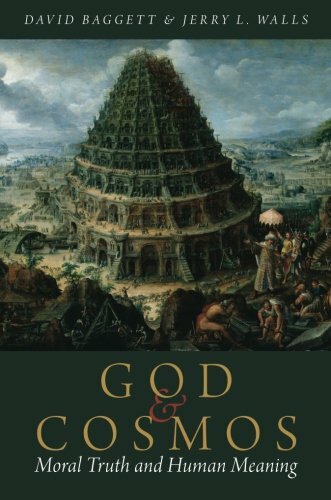 It also seems likely that God (taken to be the monotheistic God of perfect being theology) would ensure that our moral intuitions are generally reliable. Why would he do that? 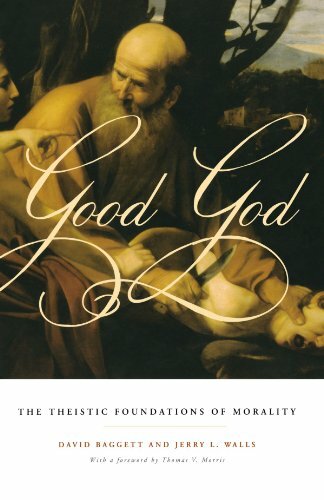 Simply because an all-good God would want to ensure creatures made in his image generally had the opportunity to do the good (and thus, to be significantly free moral agents). This is not possible if they can’t very well even recognize the good. In a sense, God has told us, via our conscience and moral intuition, what is good and thus what we ought to do. Second, the explanation needs to be relatively simple. It won’t do, for example, to claim that the best explanation of our moral intuitions being true is seventeen gods—at least not without argument. One God is simple enough (after all, the entire “God-of-the-gaps” charge is based at least secondarily in how simple it is). Competing explanations won’t cover it as well as a theistic one: for instance, it just seems fortuitous that these moral intuitions turn out to be true. For instance, animals don’t need true moral intuitions in order to survive, so the mere postulated fact that evolution occurs and we are here isn’t a sufficient explanation for why we have moral intuitions and they are true. So it seems (1) is a pretty good candidate to keep around. Perhaps an opponent will then bite the bullet and reject (2). “You’re right,” he may say. “God is the best explanation of moral intuitions being true, but I’ve got news for you: they aren’t.” There are two different objections that can be presented to the second premise. The first objection is to claim that moral intuitions aren’t always true. They’re false sometimes, and, in some cases, plenty of times. But the response back can be two-fold: first, in (1), we just mean generally true, not universally. Second, simply because some intuitions are wrong sometimes, it doesn't follow that they are all suspect. The next objection is that all moral intuitions about moral facts fail because all moral facts are false. That is to say that there just are no objective moral values or duties, and so any intuitions about this are illusory. Now this is entirely consistent with a naturalistic account of obtaining a sense of objective moral values (or moral intuitions). However, while it is consistent, it is wildly counterintuitive (literally!). Most people cannot shake the feeling that certain things (e.g., racism, homophobia, beating up the elderly, bullying, torturing babies, etc.) really are wrong, and their moral intuitions are not deceiving them. One might suspect that even the objector does not really believe that nothing is really wrong. But then it will follow that God is the best explanation of our moral intuitions being true. It seems to be an obvious truth of logic to infer that if God is the explanation of moral intuitions being true, then he exists. In any case, I don’t know what it would mean to claim that God is such an explanation, but he doesn’t exist! If that’s the case, we have an epistemic variant of the moral argument for God’s existence that can be used. Consider, in fact, that people often say that naturalism is sufficient to account for the way the world is, and thus a God is wholly unnecessary—in short, naturalism is a simpler explanation for the way the world is (so the charge goes). There are a great many people, for example, that claim to intuit homosexual behavior as permissible, whereas many others intuit it as impermissible. One set of intuitions, if this is true, is definitely false (as a whole). One cannot show a possible area of knowledge to be unreliable just by showing one error (or even a few more): simply because some people reason incorrectly, it wouldn’t follow that no one reasons correctly! Photo: "Lake Crescent Sunset" by Kevin Dooley. CC License. Randy Everist lives in Wake Forest, NC, with his wife Jodi. He holds undergraduate and graduate degrees in theology, and is currently pursuing a graduate degree in philosophy, with an ultimate goal of a PhD in that area. He believes strongly in equipping the church with good Christian apologetics and philosophy. His blog, “Possible Worlds,” is located at http://www.randyeverist.com.